Ruthless men seek my life.—Ps. 54:3. Abner supported Saul’s efforts to kill David, even though Abner knew that God had chosen David to rule as king of Israel. After Saul’s death, Abner could have shown humility and proved his loyalty to God by supporting David, not Saul’s son Ish-bosheth. Later, when Abner had relations with King Saul’s concubine, he may have been seeking the throne for himself. Similarly, lack of humility prevented David’s son Absalom from being loyal to God. Why, “Absalom acquired for himself a chariot and horses and 50 men to run before him”! He also stole the people’s loyalty. Like Abner, Absalom sought to kill David, even though he knew that Jehovah had appointed David as Israel’s king. The examples of Abner and Absalom make it clear that inordinate ambition can easily cause a person to become disloyal to God. Surely, no faithful servant of Jehovah would pursue such a selfish and wicked course. Since the god of this world is prideful and ambitious he promotes and fosters those undesirable qualities in humans in order to exploit them to do his dirty work. Obviously, Christians are not immune. The original apostles had numerous quarrels among themselves as to which one of them was the greatest. John and James even had their mother approach Jesus privately to request that her two sons have personal thrones reserved next to Jesus —one on the right and the other on the left. Embarrassingly, even on the occasion of the Evening meal a dispute broke out among them as to who was the greatest apostle. I personally witnessed the destructiveness of pride and ambition among brothers, even elders. About 25 years ago I was serving as a elder in Pacific Beach congregation in San Diego. An elderly couple moved into our congregation from a neighboring congregation of Jehovah’s Witnesses, where he had been the presiding overseer for many, many years. It quickly became known that they were seeking refuge from a very distressing situation. He was a grandfatherly figure and well loved by all the brothers and sisters. He and his wife were pillars. Because he was kindly and merciful and approachable a single sister confessed to him in private that she had committed fornication on one occasion. He counseled her and basically told her to go in peace and sin no more. However, somehow other elders became aware of the matter and it did not sit well with one particularly ambitious elder on the body, who seized upon the misstep as an opportunity to advance himself. Because the presiding overseer did not follow the Watchtower’s protocol in the elders’ manual for handing such matters he convened a secret tribunal without the presiding overseer even being present and set a scheme in motion to have the PO removed as an elder. And guess who became the new presiding overseer? That’s right, the treacherous one. The ousted elder and his wife were devastated. We moved out of California shortly thereafter, but I doubt if they ever recovered. He had been the “congregation servant” before the elder arrangement was set up in 1972 —before the ambitious elder was even born. Yet, contrary to the daily text’s concluding comment, by all appearances the scheming elder was faithful to Jehovah. It was the merciful elder who did not follow organizational procedure who was unfaithful. Sadly, in this case satanic ambition triumphed over mercy and kindness. And what is more, this was by no means an isolated incident, but is very common among elders. Although I am not an insider —being about as far removed from the inner-workings of Bethel as can be —it seems utterly impossible that the same spirit of ambition is not at work at the highest level of the organization —even more so given the stakes. No doubt that is what prompted the writing of the WT article upon which the day’s text is based. I say this because the biblical accounts of such characters as Abner and Absalom and various others, reveal a definite pattern —a tendency to resist and overthrow God’s anointed. Without taking into consideration the fact that in Hebrew satan literally means resister, opposer and adversary, the history of Israel and Judah seems to be one long, depressing, chronicle of intrigue, war and immorality. But in the knowledge that the Devil was always trying to subvert, entrap and destroy Jehovah’s kings, ultimately with the intent of thwarting the appearance of the Messiah in David’s linage, the conflicts become rich with meaning. With the advent of Christianity a new front was opened up in the universal war. From the moment Jesus was baptized Satan began maneuvering his earthly minions to oppose him. And beginning with one of Jesus’ own apostles, all during the first century prideful and ambitious men were used by the Adversary to infiltrate and corrupt, if possible, entire congregations. Similar to the civil war that erupted after the death of Saul, when Abner supported Ish-bosheth as king instead of David, an inter-congregational power struggle ensued at Bethel in the aftermath of the unexpected death of C.T. Russell. Surely it was Satan’s intention to subvert the Watchtower from its mission to publish the Kingdom message. Because no clear successor had been appointed various ambitious men contended for control of the Watchtower Society. The predictable end result was a schism, with J.F. Rutherford assuming the presidency and various Bible Student factions who regarded themselves as disciples of Russell splitting off, some of which remain to the present day. Now, as we face the beginning of the end we may expect the pattern to be repeated – only in a much more destructive way, which is why the man of lawlessness is also dubbed “the son of destruction” —a distinctive moniker he shares with Judas Iscariot. Indeed, the coming of Christ will initiate a a fratricidal conflict unlike anything ever experienced before. Jesus emphatically forewarned his disciples that during the conclusion brothers will hate and betray one another and even family members will turn upon their loved ones and have them handed over to be executed. This is reminiscent of Absalom, who had himself proclaimed as king and sought to have his own father, David, put to death. 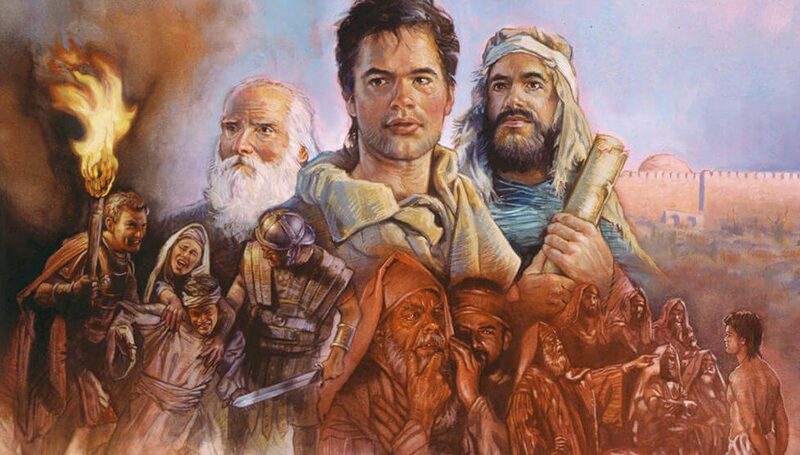 David was forced to flee his palace and became a fugitive again, just as he had when the crazy king Saul had tried to kill him. No doubt ambitious men, who, like the superfine apostles in ancient Corinth, are agents of Satan, having already climbed into positions within the leadership of the Watchtower, stand at the ready to do their master’s dark deeds. When the last hour arrives Satan will enter into them, just as with Judas during Jesus’ final hour. Then the Psalms David wrote concerning ruthless men seeking his life will take on real meaning for the faithful.